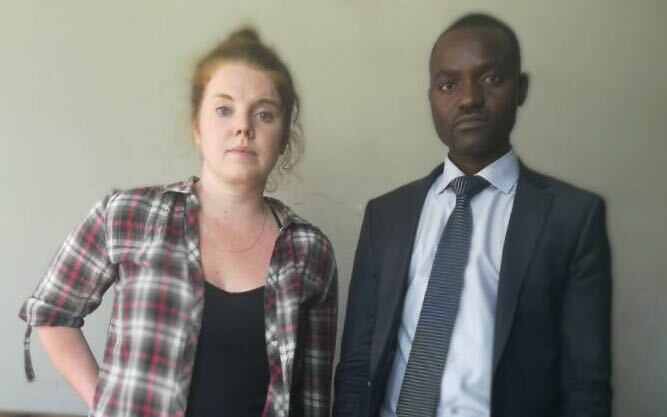 American journalist Martha O’Donovan (25)accused of plotting to overthrow President Mugabe’s Government using Twitter spent another night in custody pending the hearing of her bail application at the High Court today. O’Donovan’s bail hearing was deferred to today to allow the prosecution to file their response. Justice Priscilla Munangati-Manongwa granted the prosecution application for postponement on the basis that they were not yet ready to argue the bail as they wanted to prepare response. O’Donovan is charged with two counts of subverting a constitutional government through masterminding a social media crusade to overthrow the Government by unconstitutional means. 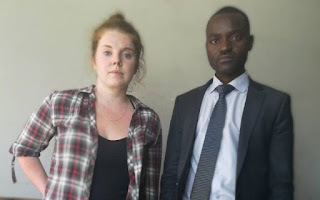 According to the indictment, during the period extending from February to November 2, 2017 in Harare, O’Donovan, systematically sought to incite political unrest through the expansion, development and use of a network of social media platforms as well as running accounts namely Magamba Network Trust, @Matigary and @OpenParlyZw, which she operates together with different users with a view to overthrow or attempt to overthrow the Government by unconstitutional means. It is alleged that on October 22, police investigations showed that Twitter account @Matigary was accessed via Zimbabwe Online Internet Protocol (IP) address 197.211.252.214. The investigations further allegedly revealed that the user was operating using an Apple MacBook computer running Mac OS 10.12.3 using Safari browser version 10.0.3 running on webkit driver build number 602.4.8. It is alleged that, using the IP address, inquiries with Internet service provider revealed that O’Donovan is the one who was assigned the IP address on the day in question. It was further established that she made significant use of the Onion Router (TOR) browser, a tool which is used to hide online activity. On November 3, it is alleged that O’Donovan was arrested and two devices were seized namely a MacBook laptop and an iPhone. The MacBook laptop is consistent with earlier investigations. It is also alleged that contrary to the suspect’s stated objectives when she entered the country, she engaged in working to raise foreign funding to capacitate a sophisticated online programme of action that is designed to culminate in online activism translating to an offline uprising. Furthermore, it is alleged to be a central component in a highly organised attempt to replicate offline uprisings like what happened in Tunisia and Egypt.